Kids Junction, Inc. is committed to providing quality care for your child. We have well rounded, stimulating programs which will enhance the physical, emotional, intellectual & social growth of your child. This is done in a well supervised, safe environment with a loving and understanding staff. We know from experience that we cannot provided quality care unless it takes place within the context of the family. Together we can make an excellent team! We hope to make an easy, comfortable transition for you and your child into our program. We believe that children should realize their potential and self-worth. We at Kids Junction share concern with feelings and attitudes in the various stages of developmental levels and skills. Children are provided with a pleasant and challenging program of doing, thinking, exploring and discovering. Many hands on activities are offered for your child to experience. This is necessary for developing the whole child. To reach these goals, we have a very warm, friendly, creative and relaxed atmosphere with a well-balanced program that provides for structured and unstructured time: Active and Quiet Time, Individual and Group Time, Informative and Creative Time, Observation and Participation Time, Alone time and Indoor and Outdoor time. We encourage and help foster strong bonds of friendship. Play is very important to children. We believe it is the means through which they discover, communicate and express themselves. We feel communication between parents and staff is very important. We do this through daily verbal and written communication and through our monthly newsletter. At Kids Junction, we have a program that stands out from other centers. We have certified teachers working with the children in many different activities. The children have the choice of different activities every day. They can choose from art, drama, yoga, dance, foreign languages, cooking, sports, wood shop, science and nature. We also have special activities, such as Gymboree Music Programs, on certain days. Our environment is a safe and secure environment with both a code and pass system keeping our children safe. 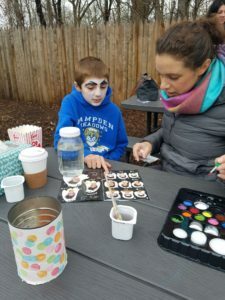 Kids Junction takes family time seriously. We plan functions throughout the year in which families can meet other families, talk to all our staff, and watch their children in a social environment. Our environment is designed to allow children to play safely alone or in a group, always supervised. We provide large sand areas, basketball court, open fields for sports activities, climbing and play equipment, picnic & shady areas and a heated salt water pool (fenced & alarmed) for summer camp. 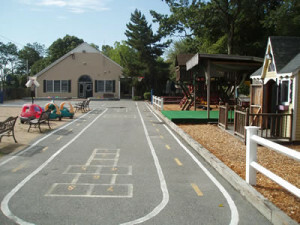 Our entire inside facility is divided into space for pre-school and school-age separately. It is decorated and painted with friendly, inviting colors and is equipped with interesting equipment. It is also air-conditioned. Magic / Juggling / Comedy Show!